Image Courtesy Peter Kramer/NBCKanye West and Justin Timberlake have been tapped to appear on the 40th anniversary special of NBC’s Saturday Night Live. 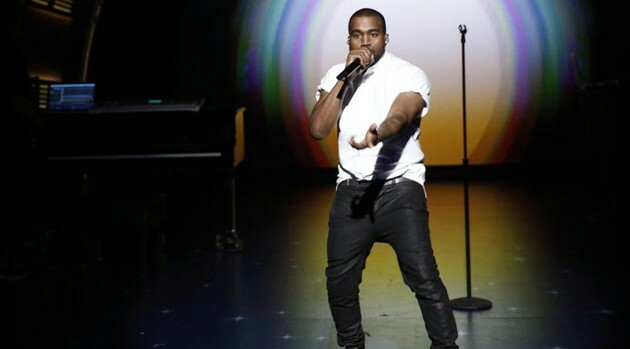 The network announced that the musicians will appear on the sketch-comedy program’s special, along with a slew of entertainers including Paul McCartney, with whom Kanye recently collaborated for Rihanna‘s “FourFiveSeconds.” In addition, viewers can expect to see Eddie Murphy, Chris Rock,Derek Jeter, Jerry Seinfeld, Tina Fey, Adam Sandler, Jerry Seinfeld, Amy Poehler and Bill Murray, among others. It’ll be Murphy’s first appearance on the show since he left the cast in 1984. NBC confirms that Kanye & Justin, who have both appeared on the show as musical guests in the past, will appear on the show in person. Additional names will be announced later. SNL’s 40th anniversary special is set to premiere on February 15 at 8 p.m.